... let them read the book. If you do - they'll know exactly what's expected and you'll get NO surprises. I decided to put some of my Clivias back into the greenhouse. I started so long ago I can't remember, but I do know that the C robusta was grown from a seed bought online from either Joe Dana USA or Alick McLeman NZ. 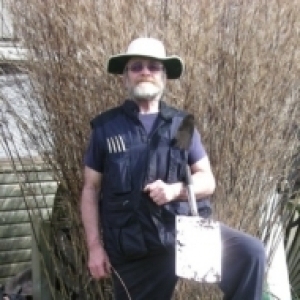 A year, or several thereafter I thought I'd try from my own seed. Not so much for a new type but "just coz I can"; in both 2011 & 2014. The ones I took out today must have been, guessimetrically, both dynasties; BUT I was a bit gobsmacked to see one of the Greenhouse residents having a go. 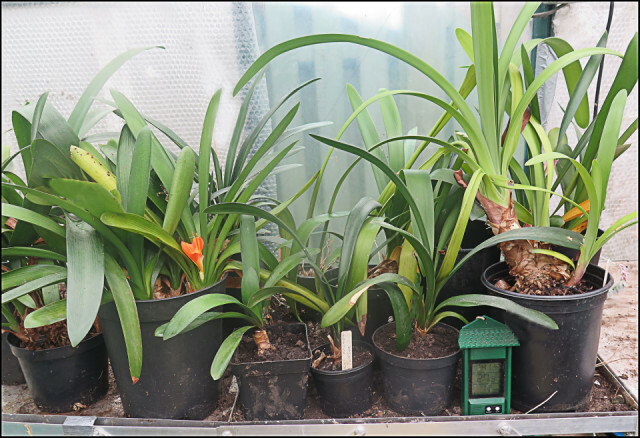 C. Robusta is the BIG lad on the far right, and one of the seedlings I actually had the presence of mind to label, but not enough nouse to mark which parent was which gender. Apparently they need 10-12 leaves to flower so it's a race twixt them flowering & me popping me clogs, since they appear to be half way there & I'll be close to or a bit past 80 to see any flower(s).